Standoffs and panel mounts are the simplest yet most dramatic method for mounting sign panels. 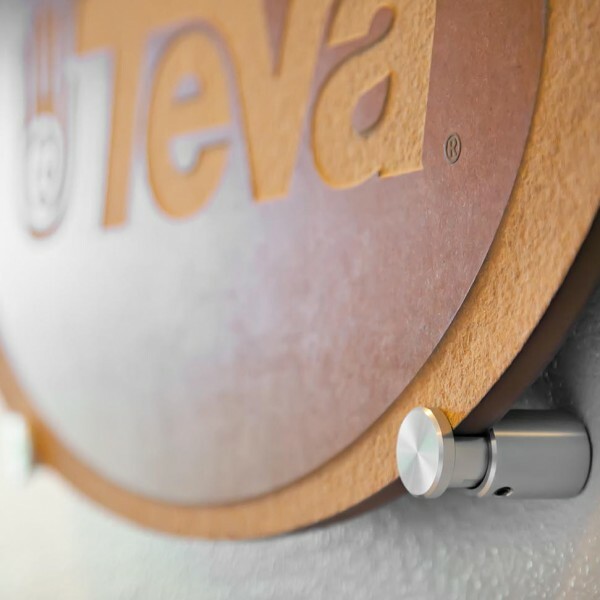 Attracting attention is the goal of signage, and this hardware, in the form of aluminum standoffs, is the catalyst. These sign mounts bring three-dimensional depth as well as high visual impact to any display. Our aluminum Adjustable Edge Grips mount a variety of material thicknesses up to 3/4″. Edge grips don’t require holes in your material and artwork or graphics can be easily changed out.